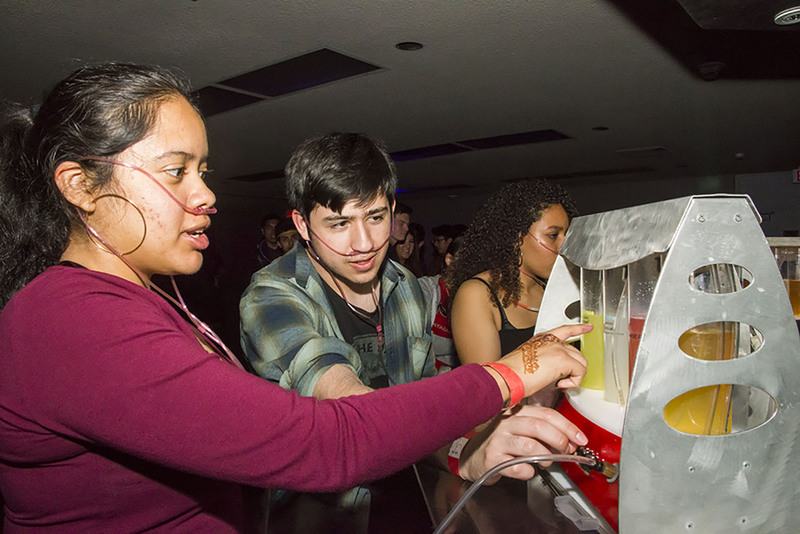 Students trying the oxygen bar in the 5 Senses room. Photo by David J. Hawkins. The LA Leakers getting the crowd involved. Photo by David J. Hawkins. Students posing for a picture in front of the mural at the ticket office. Photo by David J. Hawkins. Matty the Matador on stage getting the students involved. Photo by David J. Hawkins. Students try out the carnival games. Photo by David J. Hawkins. Students wait in line to get dizzy on the spinning top ride. Photo by David. J Hawkins. 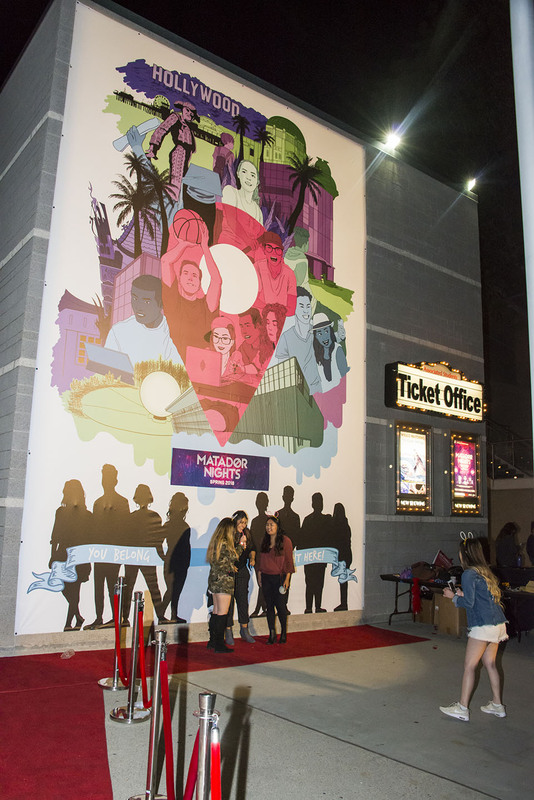 Students pose for a quick picture in front of the Matador Nights photo wall. Photo by David J. Hawkins. 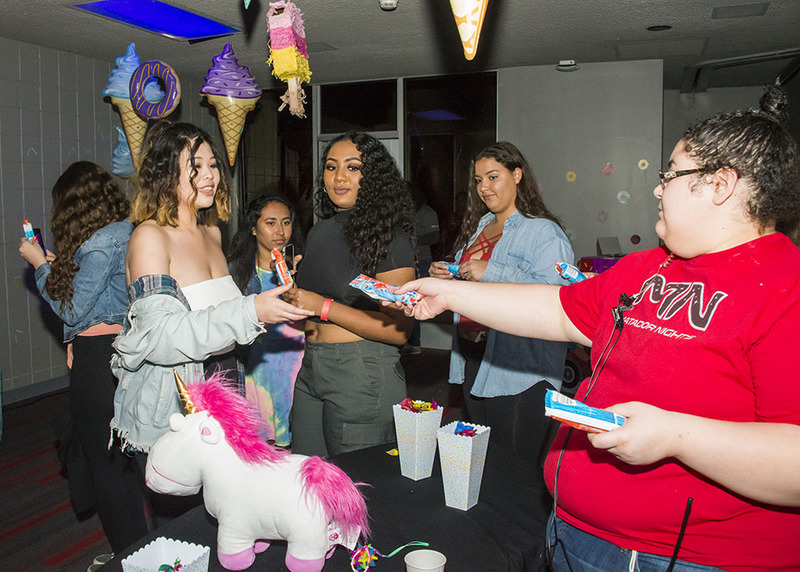 Students try out the ice cream bar at the Sweets Factory. Photo by David J. Hawkins. 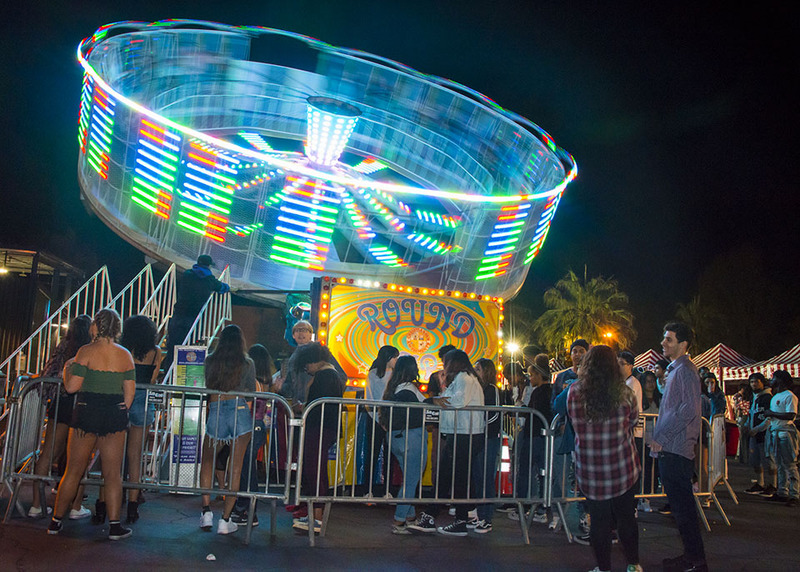 As finals approach and the semester is in its last weeks, California State University, Northridge students took the night off to dance, laugh and hang out at Matador Nights. 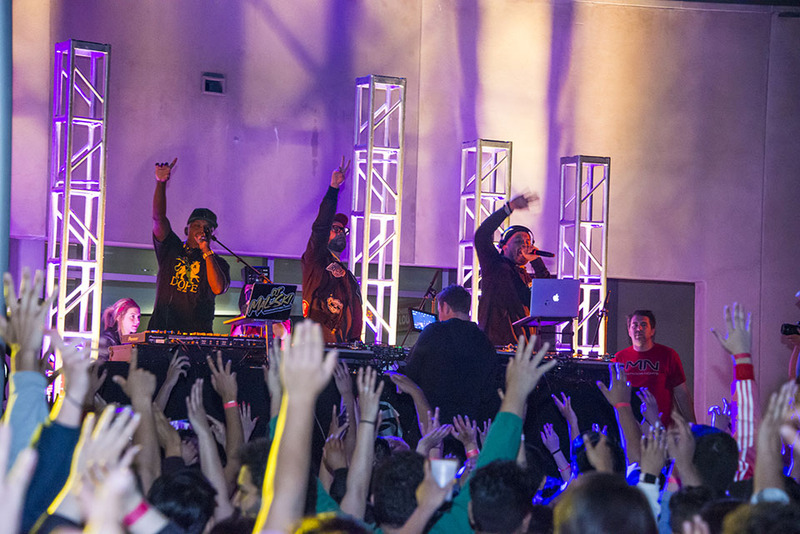 Sponsored by the University Student Union (USU), students enjoyed food, activities and live DJs at the event USU calls CSUN’s Best Party. 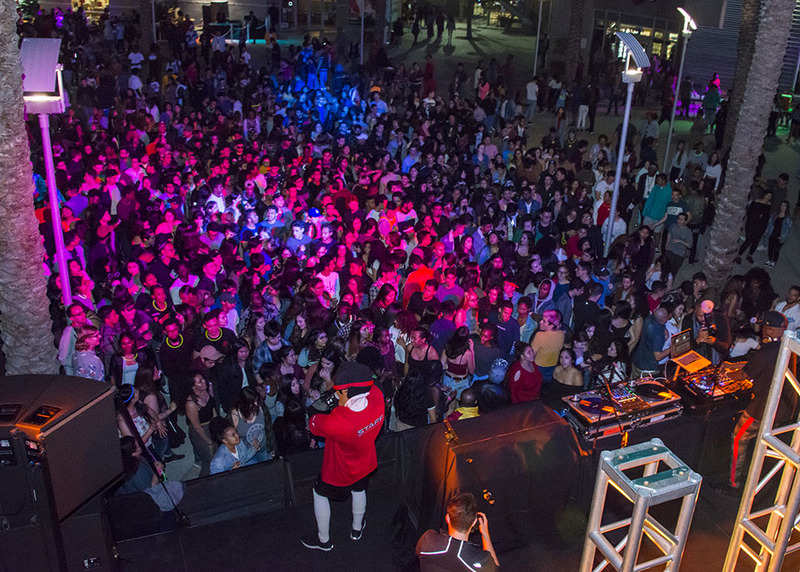 Plaza de Sol was transformed into a dance floor with live entertainment from the LA Leakers: Justin Credible and DJ Sourmilk with DJ Mal-Ski. Sharing the stage, Matty the Matador interacted with students, showed his best dance moves and challenged the crowd to dance back. Students could also try their luck at the various carnival games and get dizzy on the spinning top ride. Students were able to satisfy their sweet tooth with candy stations where individuals were able to pick from various assortments of treats. There was also an ice cream lounge where students could hang out and enjoy tasty popsicle sticks. A comic book room showcased displays where students could take fun pictures with some of their favorite super heroes. The USU also provided an arcade room with classic games for students to play by themselves or with their friends. 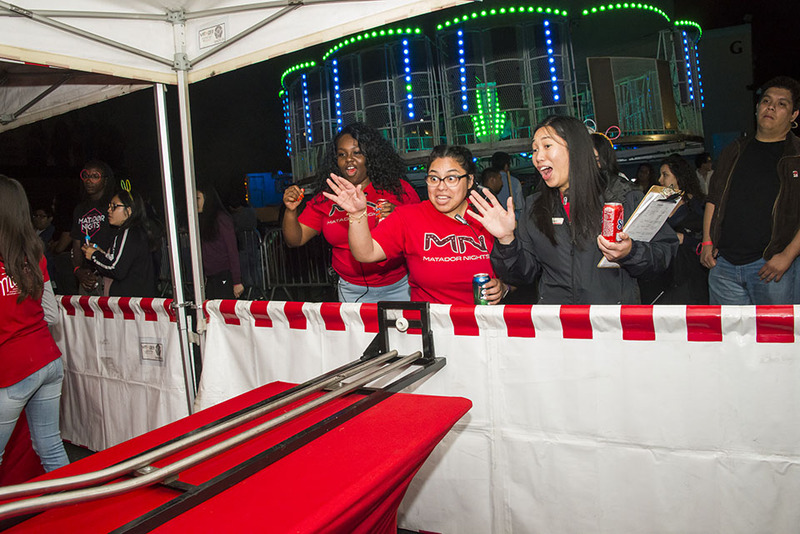 Every semester Matador Nights creates a safe environment of fun and community for the student population.